Book & CD About Our Super Saviour - Jesus! POW! BAM! LOOK! It's the Super Saviour comin' to the rescue. Here comes Jesus! Mighty to save! And with Colin Buchanan's amazing new book Super Saviour, once again Colin's comin' at ya with power-packed stories and mighty memory verses, brimming with God's indestructible Bible truth. With all the energy of a speeding locomotive, Australia's Number One Christian kid's artist delivers an album for the whole family. 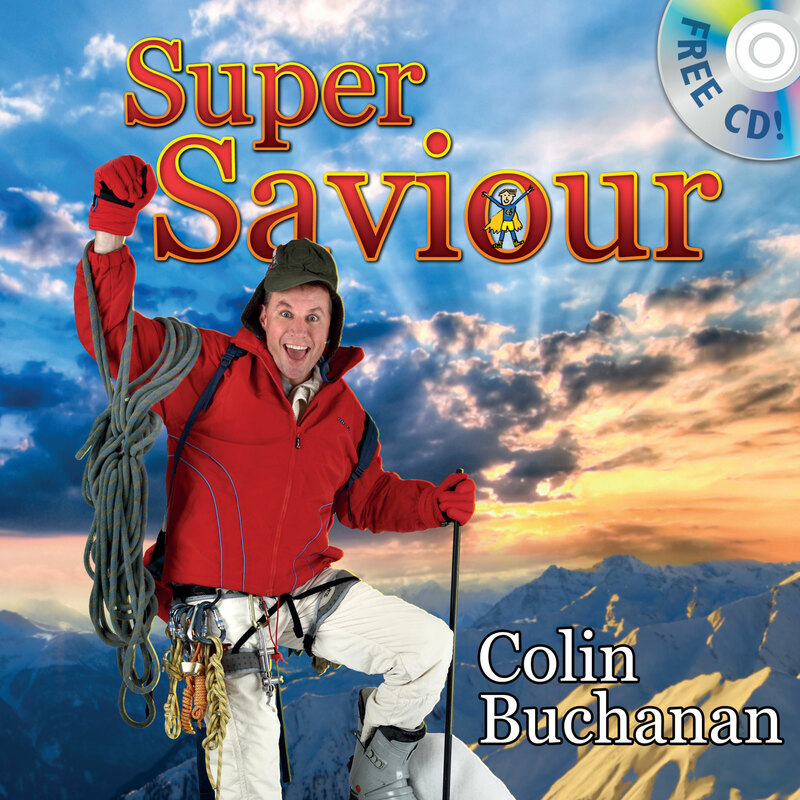 Based on songs from his brand new kids album, Super Saviour, Colin colourfully combines a heart for the simplicity of God's Word with an irrepressible sense of fun. Super Saviour by Colin Buchanan was published by Christian Focus Publications in September 2009 and is our 15069th best seller. The ISBN for Super Saviour is 9781845504908. That lively Australian Colin Buchanan has done it again! A bright attractive book that tells the young reader how very special Jesus is, ‘Number One, King of all!’ In his usual fun way, Colin tells the Gospel message with his special brand of illustrations which include zany photographs of him in many crazy poses, and somewhere on each page spread, a ‘Little Super Colin’ to watch out for. The cartoons repay a close look, as there are things you will miss if you are not careful. At the foot of each second page, is a Bible reference, a suggested song to sing and a prayer. The words of these songs are at the back of the book and the CD included means you can follow along as Colin reads his book and then learn the songs he sings. I am really enthusiastic about this book. Got a question? No problem! Just click here to ask us about Super Saviour. Please could you give me a list of which songs are included on this CD. 14. Are You Serving Cap'n Jesus?